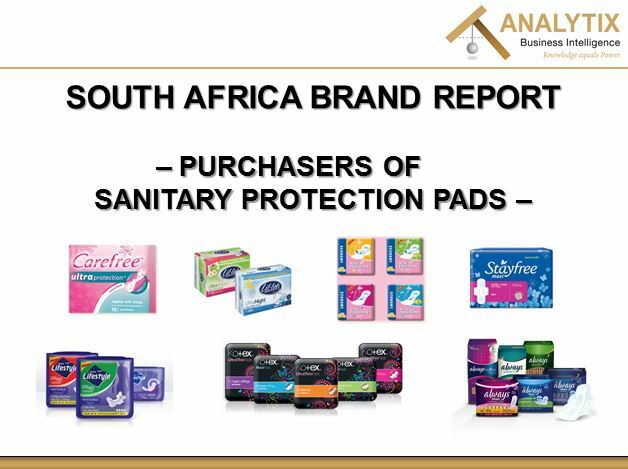 This comprehensive report examines South African purchasers of Sanitary Pads (Females only): Global and South African market overview, purchasing trends (2010-2014) with a purchaser forecast for 2015-2019, Geo-demographic trends among purchasers compared to the total female adult population (2010-2014), Detailed geo-demographic brand profile and brand penetration analysis, Cell phone and Internet usage, and Shopping patterns. 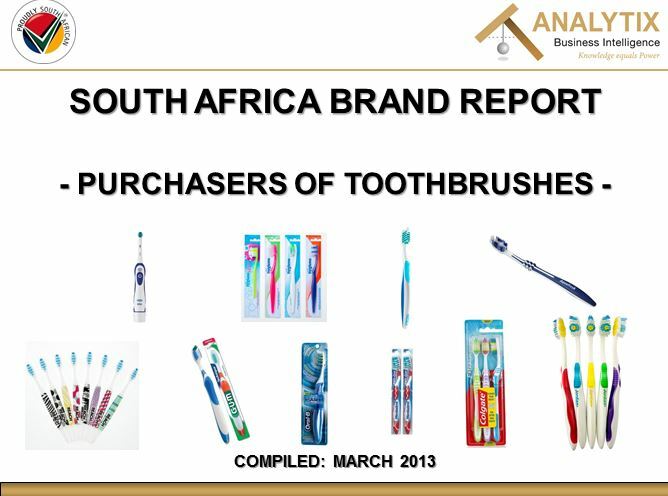 This comprehensive report examines South African Purchasers of Toothbrushes: Global and South African market overview, Purchasing trends (2007-2012) with a purchaser forecast for 2013-2017, Geo-demographic trends among purchasers compared to the total adult population (2007-2012), Detailed geo-demographic brand profile and brand penetration analysis, Cellphone and Internet usage, and Shopping patterns. 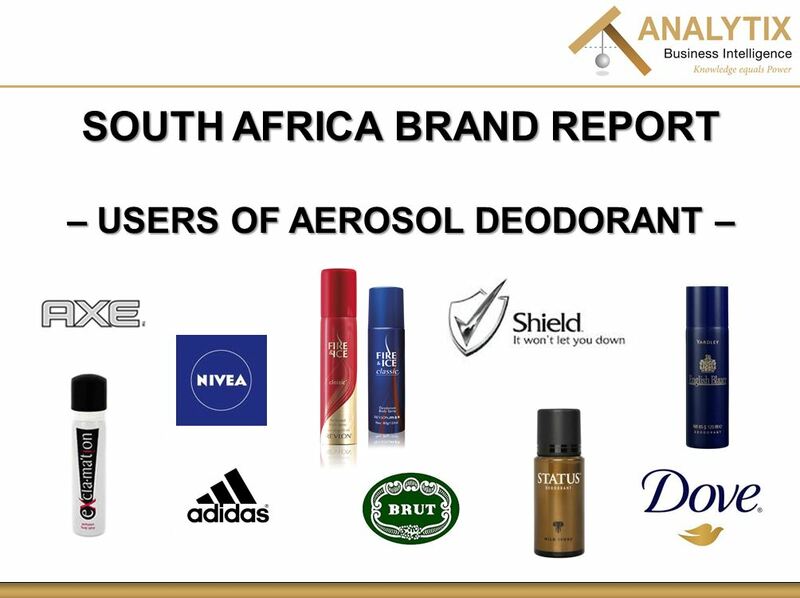 This comprehensive report examines South African users of Aerosol Deodorant: Global and South African market overview, user trends (2009-2013) with a user forecast for 2014-2018, Geo-demographic trends among users compared to the total adult population (2009-2013), Detailed geo-demographic brand profile and brand penetration analysis, Cell phone and Internet usage, and Shopping patterns. 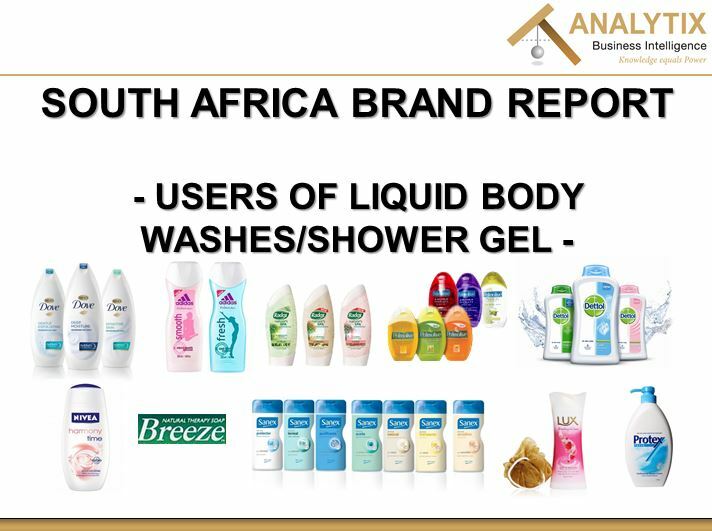 Global and South African market overview, user trends (2007-2012) with a user forecast for 2013-2017, Geo-demographic trends among users compared to the total adult population (2007-2012), Detailed geo-demographic brand profile and brand penetration analysis, Cellphone and Internet usage, and Shopping patterns.